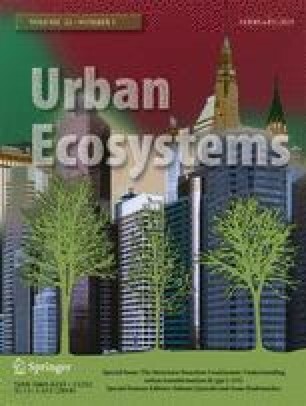 Understanding the structure and function of urban landscapes requires integrating social and ecological research. Here, we integrate parallel social and ecological assessments of natural areas within New York City. We examined social data (from a rapid assessment of park use and meaning, collected at a park zone level) alongside ecological data (from a plot-based assessment of forest structure and diversity). In-depth interviews with researchers and managers (n = 11) involved with the social and ecological assessments revealed commonly-held values considered critical for integration, including clear communication, openness, trust, and shared goals and also identified barriers to the integration process, including the scales at which each dataset was collected. We applied an informed, shared problem framing to investigate the relationships between visitor use and ecological condition in urban natural areas. We began with fuzzy cognitive modeling, where researchers developed models of defining a “healthy urban forest.” We then developed two social-ecological typologies to examine the integrated dataset in relation to how visitors may affect or perceive ecological health and threat. Typologies identify NYC natural areas where social indicators (number of visitors, diversity of park use motivations) are either high or low and ecological condition is either high or low. Examination of these typologies led to exploring correlations between social and ecological variables, to team discussions, and to developing new research questions. We conclude this paper with a discussion of tradeoffs of this type of emergent, integrative approach to social-ecological synthesis research. The online version of this article ( https://doi.org/10.1007/s11252-018-0763-9) contains supplementary material, which is available to authorized users. The authors graciously thank all the NYC Urban Field Station, Natural Areas Conservancy, and NYC Parks Natural Resources Group staff that have assisted in the social and ecological assessments. We also thank Natural Areas Conservancy staff for the use of their photos of ecological assessment plots.